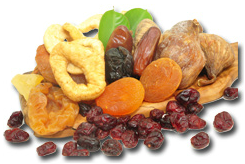 Fineberry Foods is a supplier, importer and wholesaler of the finest conventional and organic food ingredients including dried fruits, fruit juices and concentrates & nuts products such as raisins, sultanas, pitted dates, date paste, date syrup, raisin juice concentrate, apricots, figs, pistachios and seeds. We focus on direct sourcing, importing from top of the line global suppliers and supplying to wholesale and retail markets such as bakeries, confectioneries & beverage producing companies. When it comes to choosing our raw materials we are very selective and picky. Not every dried fruit or nut qualifies to suit our standards. That's why we only work with selected suppliers who can keep up with our high standards. 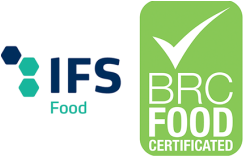 Fineberry Foods dried fruits and nuts products certifications for wholesale on majority of our products includes IFS, BRC, HACCP, ISO22000, ISO 9001, KOSHER & HALAL.